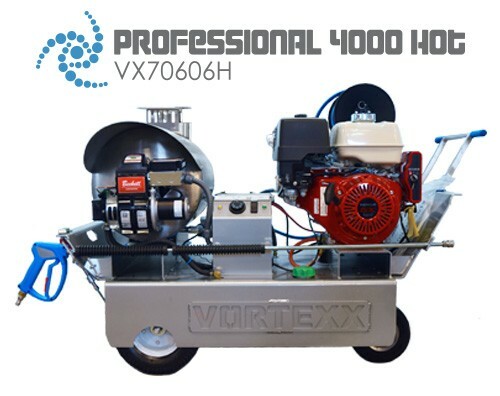 The NEW Vortexx Professional Hot Water Pressure Washers don’t look like any other pressure washer on Earth – and that’s by design! 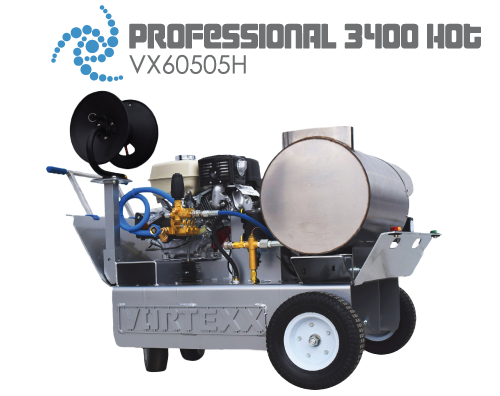 We did our homework and designed solutions for the flaws that are commonplace with our competitors’ Hot Water Pressure Washers. From heavy and difficult to move units, to unreliable electric systems, small plastic fuel tanks, hard to service components, and concerns about operator safety; we addressed every issue we could find. These are professional units, for professional users. Innovations in safety, usability, and performance are evident at first glance. We included a Triple Protect Safety Shut-Off System, Stainless Heat Shield, and Beckett GeniSys™ Burner Controls. We spent to time to make sure our Hot Water Units are the best on the market.